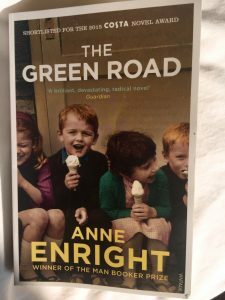 This entry was posted in Irish literature and tagged Anne Enright, Clothes in books, The Green Road by Simon Lavery. Bookmark the permalink. That is a great analysis, I love it. With my own posts, I like to draw conclusions from the clothes where possible, but of course sometimes just want to write about a book – I used to agonize over trying to make it a ‘proper’ Clothes in Books entry, but now I think no-one else but me minds. Anyway, look forward to more clothes-based entries, but also your other ones – lots for me to explore here. I really enjoyed exploring your blog, Moira. It’s given me a new perspective – thanks. I enjoyed your post, Simon. Colm Tóibín is very strong on this topic too – it brings to mind those passages on women’s clothes (and their hairstyles) in Nora Webster. I agree, Jacqui, in fact this novel had much of his kind of note in portraying family dynamics: all that toxic love. Now that Moira has got me thinking this way about clothes in fiction I’d have to revisit Nora W: don’t recall too much about them in that one, but yes, Nora’s new hairdo was significant. Barbara Pym, on the other hand, uses clothes as an index of dowdiness or glamour. I’d never thought of using this approach before – but now I will definitely use it! Yes, it’s an interesting angle isn’t it. Thanks for dropping by. Just followed your blog: some fascinating posts there – keep up the good work. Haven’t read IM for a long while so can’t say, but I’m sure you’re right. Yes, it’s a useful way into assessing what a writer is up to at times, Liz. What a wonderful theme, Simon. It whets one’s appetite for both the novel and your upcoming review. Wow, what subtlety, what perception in Enright’s descriptions. I tremble to imagine being subject to the merciless scrutiny of Billy’s gaze and wince at the slam about walking in heels. Personally, I have long since given up even attempting to totter about on them, given my bunions, but suspect Billy would have condemned me to a similar judgment in my salad days! 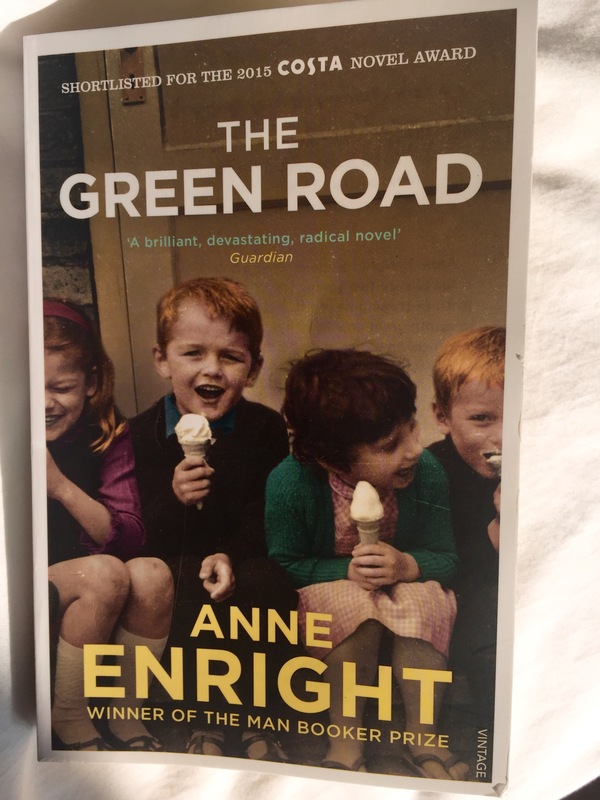 : ) There is also the very slightest undertone, suggestion that Enright wants the reader to recognize the unrequited love and pain under the bitchiness. I fear the “true path” (for Dan) poor Billy clings to may be no more real than the “straight path” hoped for by Isabelle. Dan may be simply what he seems, a handsome, charismatic, lure, and a heartbreaker. The chap likely has NO idea from one day to the next how much pain he is causes. Hanna and I seem to be “two peas in a pod,” much given to romanticized musings! Ah, the romance of a vision of fashion to the grubby young child in scuffed Ked sneakers and dusty shorts!. In the mid-60’s, our neighborhood had an unforgettable family of 12 kids, the Walshes, who would alternately terrify me with ghost stories and save me from the neighborhood German Shepard (named “Satan”) when he regularly escaped from his garage. Just recently, happened to remember one Friday night during what seemed like an endless summer (1966) when the oldest, Mary Anne Walsh (19 at the time) was picked up for a date. With her bouffant lacquered black hair, fair skin, cat-eyeliner, and all-pink ensemble (even heels) she seemed the epitome of a Disney princess as she swept down the front stairs. I never forgot that vision. Her date, of course, had on a white dinner jacket and a crew cut, and brought her a corsage (college dance?). Finally, can’t wait to check out Moira’s blog (“Clothes in Books”). Once again, meeting fascinating people and learning interesting things at the erudite blog of Tredynas Days. Take care, Simon! Maureen M.
Thanks, Maureen. Yes, AE has got a wonderfully subtle approach. I’d not read her before, but if this novel is typical I shall explore her work further. I guess you’d also like the Irish connection…I won’t spoil it for you how Dan turns out if you haven’t read it yet. It’s worth reading the rest. I don’t know now if I’ll get round to a full scale review; this piece seemed to stand in for the whole. Want to get on with the work of my recently passed friend Mike.